Are you struggling to write that novel you always dreamed of finishing? Do you have a story that demands to be told? With our hectic lives it can be tough to carve out the time to express ourselves creatively, but there may be a solution. Have you ever considered taking part in a writing retreat? A writing retreat gives you the chance to escape the daily demands of normal life and explore your creativity during a period of relaxation and freedom. 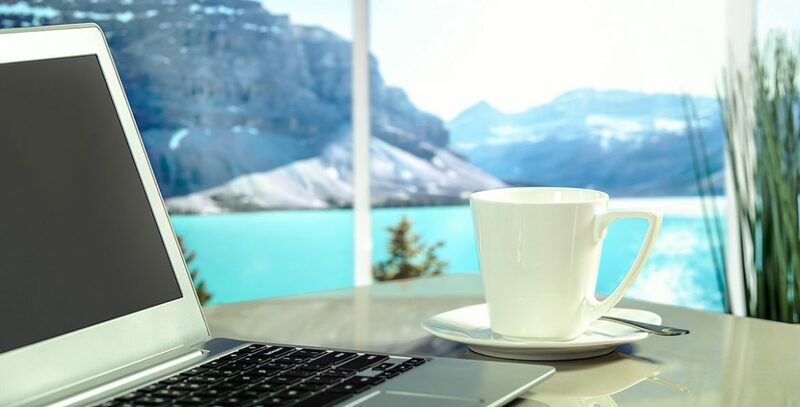 These breaks from reality can vary in terms of length, location and activities, but typically, writing retreats strive to create an opportunity for you to be alone with your words. The UK is filled with beautiful locations to inspire your writing. Urban writing retreats offer country house retreats in Devon, ranging from 3 to 6-night stays. Or perhaps you would fancy Arvon’s Clockhouse retreat in the scenic Shropshire hills, available for 4 or 6 nights. Both are designed to leave you chore-free so you can maximise your writing time. You may be looking for feedback on your work, Arvon also have a range of tutored retreats in which you can have discussions with published writers who will offer you advice on your work. Writing retreats may be just what the muse ordered. However, spending days or weeks away while paying for, often, luxurious accommodation and picturesque settings might not be feasible. Luckily there are alternatives. Several organisers now offer ‘day writing retreats’- with many of the benefits of a longer writing retreat fitted into a single day. This not only cuts down the time required but also the cost (no accommodation needed). Writers HQ is just one of these groups that offer day-long writing retreats. Writers can spend the day (approximately 6 hours) sequestered away with fellow wordsmiths from just £35 and with a variety of regional venues, you can find one close to you. Supervised by a writer, these day retreats help you set goals for yourself and give you the space needed to concentrate on your writing, with regularly scheduled breaks and plenty of tea and biscuits for you to enjoy. Urban writing retreats offer similar day retreats exclusively in London and Newcastle, with lunch and tasty treats included, they provide a distraction-free space for dedicated writers. Another option is to try a DIY writing retreat. The first step would be to rid yourself of any potential distractions; unplug the phone, TV and let your friends know you won’t be available. Try setting up a peaceful writing area, even if it’s temporary. Carving out a space dedicated to writing can feel like a fresh start and help you get ‘in the zone’. If you think you’ll be too distracted at home you may want to book a cheap hotel nearby. New environments can be a great way to clear your writing palate. This is a tried and tested technique, the late Author and Poet Maya Angelou famously practised this when writing her novels, booking a hotel room in her hometown. She would even ask the staff to remove any artwork off the walls, presumably to prevent distractions. Her necessities when writing were “a Bible, Roget’s Thesaurus, a good dictionary, and a bottle of sherry”- not sure you need the sherry (that’s up to you) but a dictionary and thesaurus could prove useful1. progress. It may also help you set up a routine and good habits for you to continue at home. may even give you some inspiration. Find a place with a view, you might want something to appreciate as you gaze out the window, plotting. take the time to sit down and find the one that suits your needs. 1 Maya Angelou interview on HARDtalk filmed in 1998.